Originally designed by one of the most notable landscape architects in town, this once impressive project had faltered in recent years. 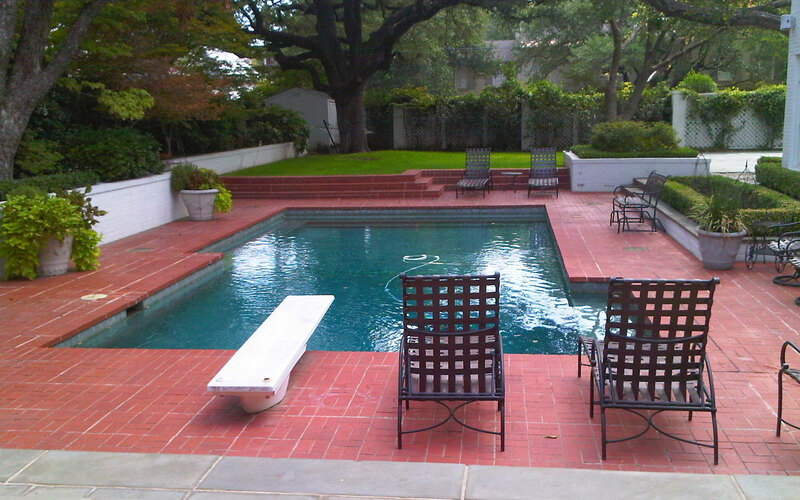 The pool and spa still functioned well, and the client wanted to keep it intact. In addition, they wanted to keep as much of the existing landscaping as possible. The surrounding decks, walls, and steps were fair game. At first glance, one might think that our changes were simple material changes. Upon closer inspection, however, one can see the subtle, yet transformative changes that come together to update this classic pool. The transformation resulted in a tasteful, timeless design which improved flow and usability of the deck areas and also softened the feel of the massive hardscape. Originally designed by one of the most notable landscape architects in town, this once impressive project had faltered in recent years. 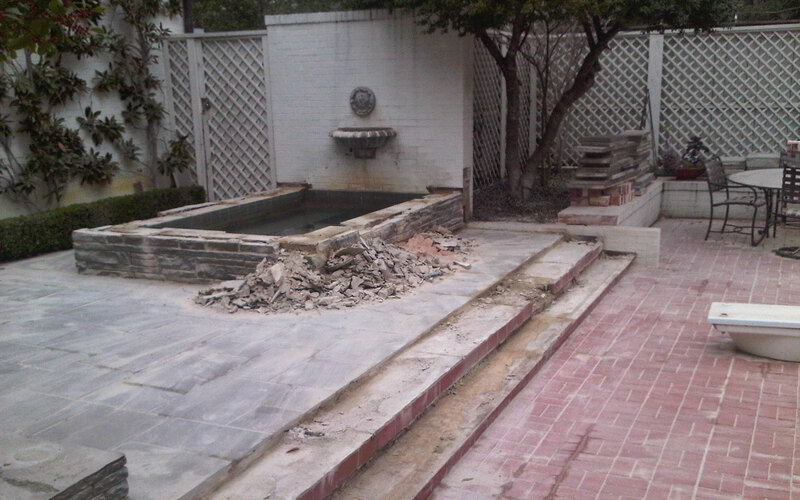 The pool and spa still functioned well, and the client wanted to keep it intact. In addition, they wanted to keep as much of the existing landscaping as possible. The surrounding decks, walls, and steps were fair game. At first glance, one might think that our changes were simple material changes. Upon closer inspection, however, one can see the subtle, yet transformative changes that come together to update this classic pool. The transformation resulted in a tasteful, timeless design which improved flow and usability of the deck areas and also softened the feel of the massive hardscape.